Katya has built a busy practice across all of Chambers’ core areas of work since joining Devereux as a tenant on completion of her pupillage. 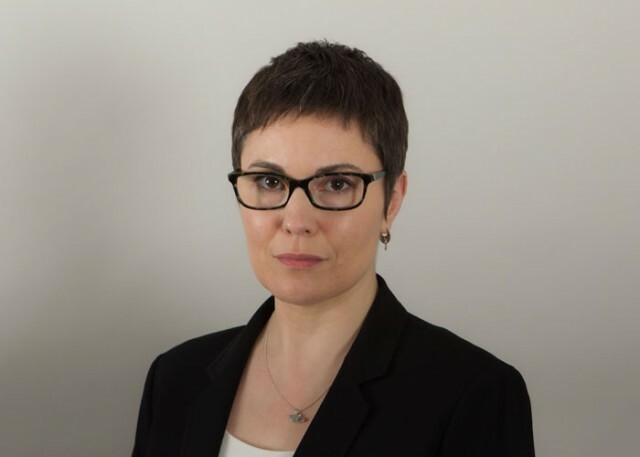 She retrained as a barrister after a 16-year career in higher education, first in the USA as an instructor in the Philosophy Department at the University of North Carolina at Chapel Hill, and then as Inclusive Curriculum Officer at Cardiff University. She decided to study law while volunteering as a trade union caseworker for the University and College Union and she retains a particular interest in employment, education and discrimination law. Katya is a member of the Discrimination Law Association executive committee and also spent a number of years as a listening volunteer for the Samaritans. As a pupil Katya gained experience in all of Chambers’ core areas: employment, personal injury, clinical negligence, insurance and reinsurance, professional negligence and tax . Katya is regularly instructed in preliminary and final hearings in all areas of employment work. She has a particular interest in discrimination. Before coming to the Bar Katya spent nine years at Cardiff University as a policy officer with responsibility for equality and diversity in education. During that time she was a volunteer caseworker for the University and College Union and represented the Union in the development of several University policies. She also provided assistance in the case of Foster v Cardiff University  Eq.L.R. 718. Katya is regularly instructed to act in fast-track and small claims trials, infant settlement approval hearings, RTAs, credit hire and costs hearings. She also provided research support for Rob Weir QC in Wood v TUI Travel  EWCA Civ 11 concerning contracts for the supply of goods and services in the context of the package travel regulations. Katya is rapidly developing her practice in education. She recently drafted pleadings in a complex reasonable adjustments claim against a university and is often instructed in SEN and disability discrimination cases brought against schools. Her previous career gives her particular familiarity with the higher education sector. She taught philosophy and formal logic at the University of North Carolina, Chapel Hill and then spent nine years as a policy officer at Cardiff University with responsibility for implementing the Equality Act 2010 in its provision of education. During that time she was a member of the national advisory group for the Learning & Teaching section of the Quality Assurance Agency’s Quality Code for Higher Education. She maintains her links with the sector and led a workshop on competence standards and curriculum design at the Equality Challenge Unit annual conference in November 2017. As pupil to Richard Harrison Katya gained experience in a range of insurance and professional negligence matters. She assisted Richard in C&S Associates UK Ltd v Enterprise Insurance Company PLC  EWHC 3757 (Comm) which concerned a contractual dispute between a specialist motor insurer and a desktop claims handling firm. She also provided extensive research support in a marine insurance case raising questions about constructive total loss and the nature of valued policies. Katya has acted in a number of contractual disputes in the county courts and accepts instructions in all areas of commercial work. Katya is developing a practice in tax. As pupil to Aparna Nathan and Akash Nawbatt Katya gained experience in tax litigation as well as a range of advisory matters, including employee benefit trusts, managed service companies, residence and domicile, inheritance tax, transfer of assets abroad and the settlements provisions.